Headliners, passes to EDC Las Vegas 2019 are now on sale! 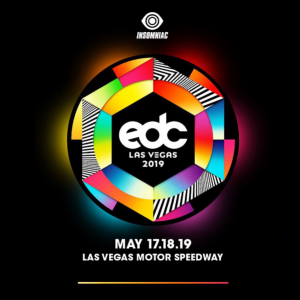 Returning to our home Under the Electric Sky for its 23rd installment, EDC Las Vegas 2019 takes place Friday, May 17, through Sunday, May 19, at Las Vegas Motor Speedway. EDC Las Vegas is an 18+ event, and you will need to show proper identification to enter the festival. All ticket types for EDC Las Vegas 2019 are on sale now, including GA, GA+, and VIP passes. Three-day GA passes, which grant you entry through the gates of EDC, start at $319, plus taxes and fees. Three-day GA+ passes—which offer a more comfortable EDC experience via expedited, dedicated GA+ entry and special access to premium, air-conditioned restroom trailers, in addition to all the amenities you get with a GA pass—start at $499, plus taxes and fees. For the ultimate EDC Las Vegas experience, upgrade to the VIP life, where you can take your festival weekend to the next level and treat yourself to some unique perks, from fast entry and VIP-exclusive amenities, to gourmet food and drink options, to a dazzling array of special activities and entertainment. You can also take in the full-scope view of EDC Las Vegas from one of our elevated platforms—or from the VIP Ferris wheel—and relax at our hookah bar or the VIP Splash Pool. All this and much more await you with the EDC Las Vegas VIP Experience, where you can Explore, Engage, Energize and Enjoy! For a full list of VIP amenities, check out the VIP Features page. Three-day VIP passes start at $779, plus taxes and fees. To enter all VIP areas at EDC Las Vegas 2019, you must be 21+ and present a valid photo ID. For more info, visit the EDC Las Vegas Website!